I have written a couple blog posts about my friend’s granddaughter, Isabella. 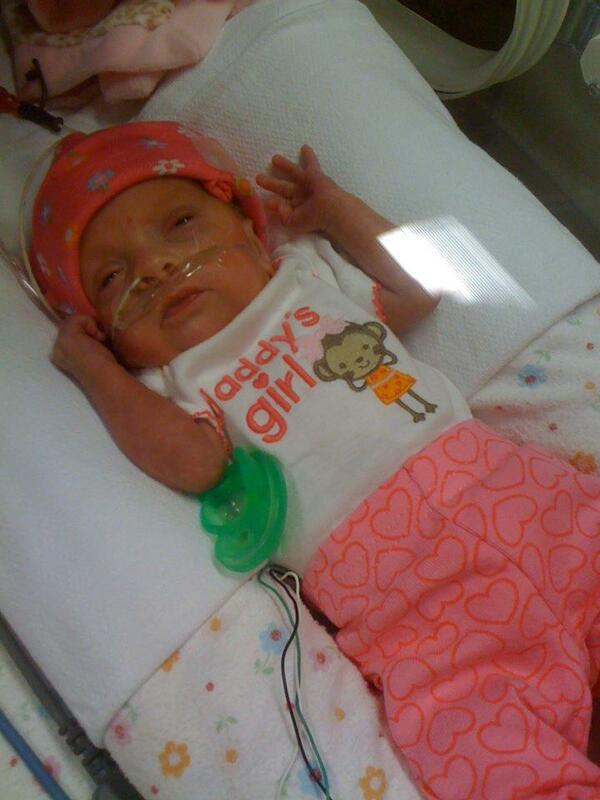 Isabella was born on February 12, three months prematurely. She weighed 1 lb. 2.8 oz. at birth. Today, Isabella weighs 3 lb. 2.4 oz! Way to go baby girl! Keep it up and mommy and daddy will be able to bring you home! AWWW, she is a cutie Linda! My prayers are with her. What a little doll! It is so amazing how medicine has advanced to save these precious little ones that are born so early. She's doing wonderfully! Prayers continue!